The Dragon is the fifth and the mightiest member of the Chinese Zodiac. It's the favorite amongst Chinese experts because the dragon symbolizes all things mighty - ferocity, strength, dominance, and drive. 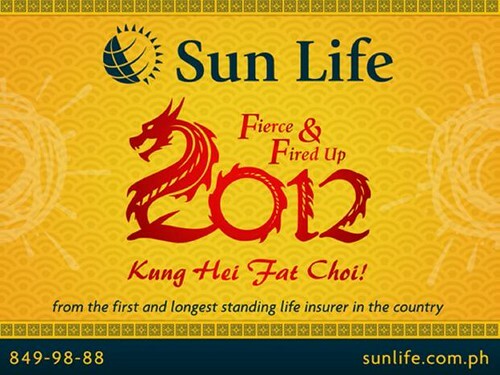 To usher in the good fortune that the Year of the Water Dragon brings, the first and longest standing insurer in the country, Sun Life Financial Philippines will be staging two big and bright events on Tuesday, January 24, 2012. One will be at Binondo, Manila while the other will be at the Bonifacio Global City. “We are inviting everyone to join Sun Life Financial in ushering the New Year with the sound of victory. 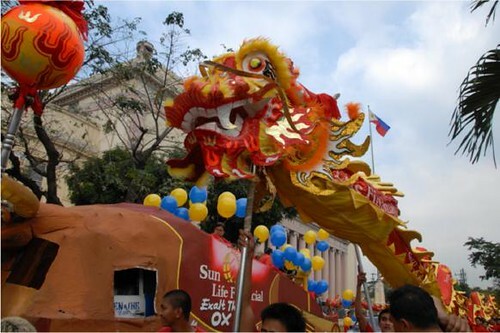 Together, let us rattle the Sun Life Chinese rattle drums to awaken the Water Dragon and witness the longest (1,000 feet) dragon parade around the streets," says Chief Marketing Officer Mylene Daez-Lopa. The festivities will begin at 9 AM right at the very heart of the Filipino-Chinese community in Binondo, Manila. The 1,000 foot dragon will be parading from the Manila City Hall, passing through Jones Bridge, and ending in Plaza Lorenzo. Later on at 3 PM, a motorcade featuring drum beaters and zip and poi dancers will be held along the streets of Bonifacio Global City, Taguig. Feng Shui master, Ms. Joy Lim of Charms and Crystals, will be giving a talk about wealth, health, and prosperity at "The Fung Show" hosted by Mr. Fu. Sun Life’s Chinese New Year celebration in 2009, Exalt the Ox. 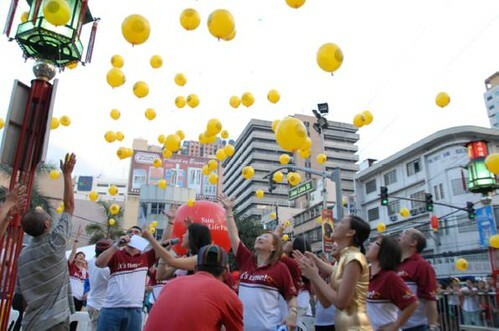 In 2010, Sun Life Financial sent yellow balloons to soar and to carry financial resolutions with hopes of fulfilling them throughout the year. 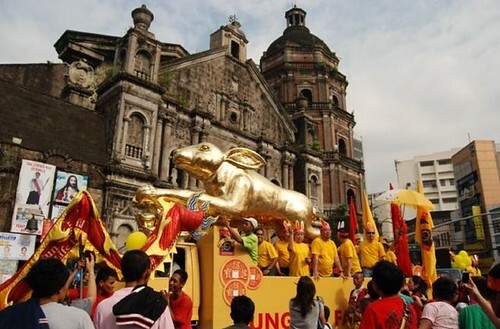 In 2011, Sun Life hopped to the top as it celebrated the Year of the Metal Rabbit. Hope you can drop by and witness these exciting events! walang picture ng binondo new year;s eve celeb?